This pre-tied bow tie reminds us of a strawberry, if the colors were inverted. 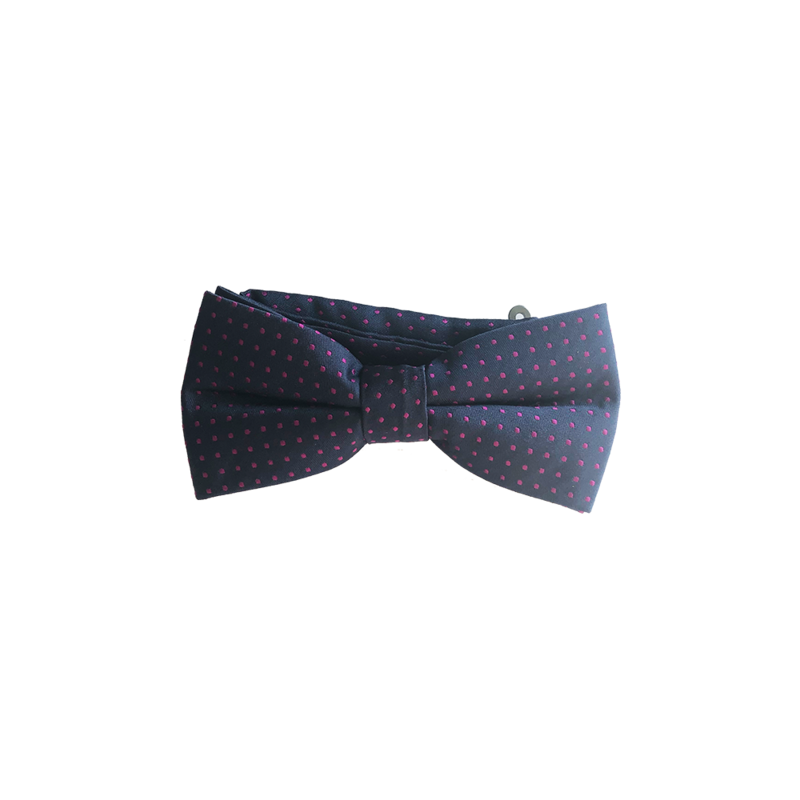 It's a navy blue bow tie with fuchsia pin dots that work with light blue shirts. If you don't wear bow ties often, this is your chance!